These stunning earrings show the ancient warrior shield design. They are sterling silver with 18ct yellow gold beading. 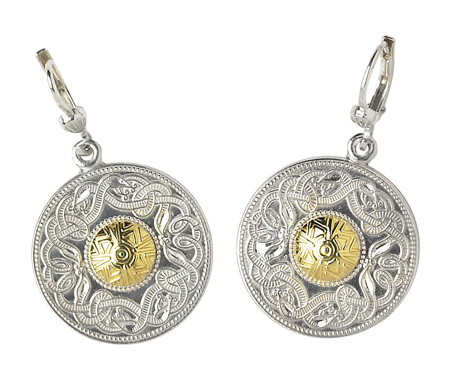 These gorgeous earrings traditional design dates back thousands of centuries, incorporating both the Celtic shield and the Celtic animal design.